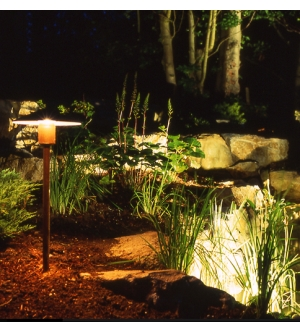 The Fern Lite is suitable for illumination of low level foliage. Light is emitted on a horizontal plane through UV stable acrylic lens with anti-glare mesh around 360 degrees. 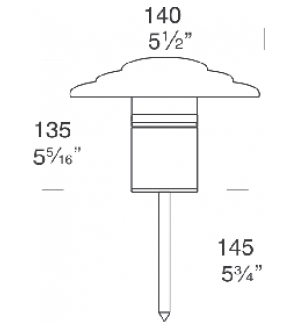 This luminaire does not project any vertical light due to the anti-glare hood. The Fern Lite with no hood projects minimal vertical light due to the lens cap.